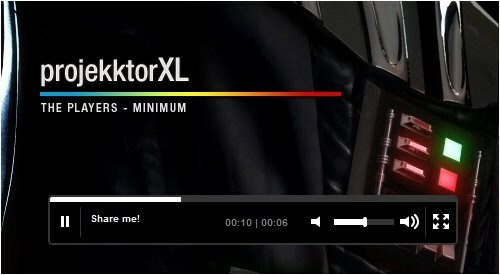 Many people asked for help with HTML5 video player. If you are one of them, you’re in the right place here! 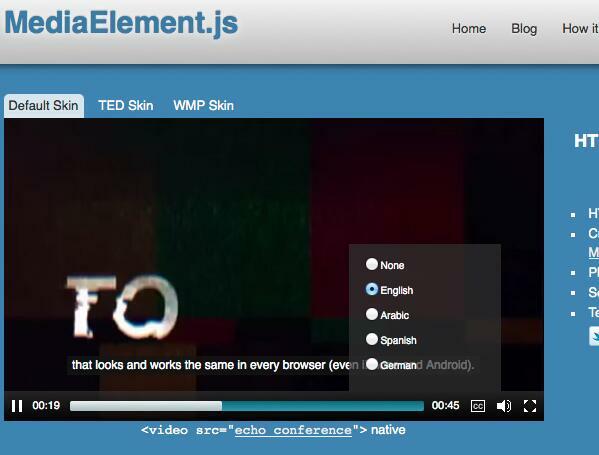 Here we gathered top 10 HTML5 media players in the market. 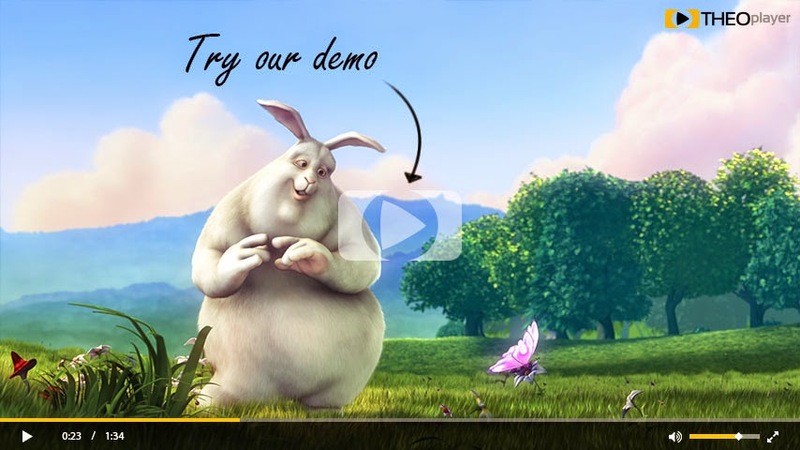 Now, enjoy the following collection of 10 HTML5 media players available on the web. Able Player is a fully accessible cross-browser media player. It uses the HTML5 <audio> or<video> element for browsers that support them, and (optionally) the JW Player as a fallback for those that don’t. * Supports both audio and video. * Supports either a single audio track or an entire playlist. * Support for adjustable playback rate. Users who need to slow down the video in order to better process and understand its content can do so; and users who need to speed up the video in order to maintain better focus can do so. 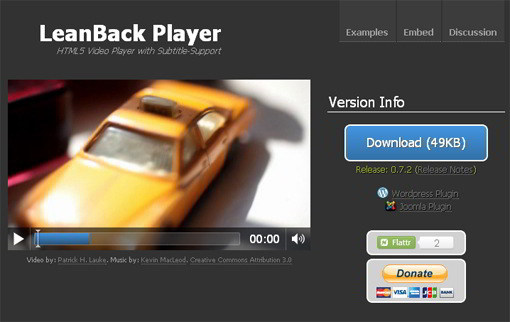 * Support for playing YouTube videos within the Able Player chrome. 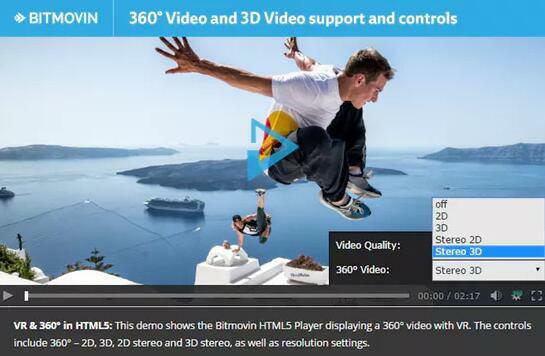 The Bitmovin Adaptive Streaming HTML5 Player is the worlds most intelligent and intuitive Adaptive VideoPlayer. Play video with low delay and no buffering. * Any browser any deviceAs a video provider, your content needs to play anywhere, on any device. This player has them all covered! * Ad support Fully featured ad support allows you to display interactive , pre, mid or post roll ads. Integrated with all major ad servers. * Adaptive technology with no bufferingNot only does the Bitmovin HTML5 Player use state of the art, patented adaption technology, it is completely customizable to your needs. * No third party pluginsOur native HTML5 player runs by default without the need for any client side plugins, making it easier for everyone to use. Fluid Player is sponsored by ExoClick and is fully open-source, why not join our community and start contributing to the Fluid Player experience. JVideoplayer is an easy to use flexible Music Video Player. This is a complete replacement Music/Video Player for Grooveshark (and others). MediaElement.js is a set of custom Flash plugins that mimic the HTML5 MediaElement API for browsers that don't support HTML5 or don't support the media codecs you're using. 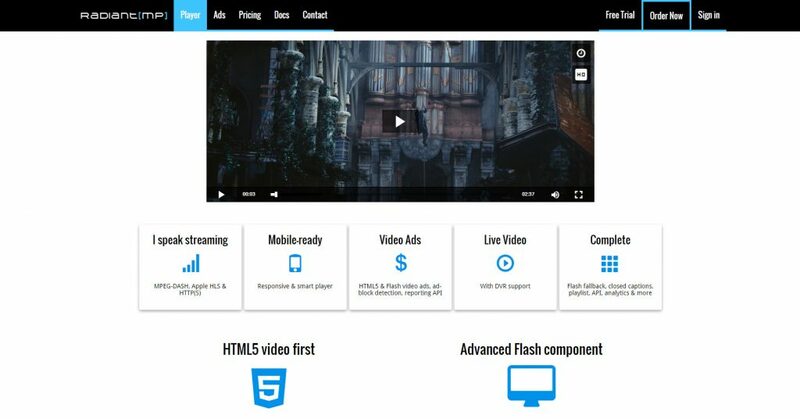 Instead of using Flash as a fallback, Flash is used to make the browser seem HTML5 compliant and enable codecs like H.264 (via Flash) on all browsers. * Embeddable players like YouTube, Vimeo, Twitch, DailyMotion, Facebook, and SoundCloud. Once your organization decides to stream accessible video, you will find just a handful of solutions. OzPlayer is the only one that is fully accessible. 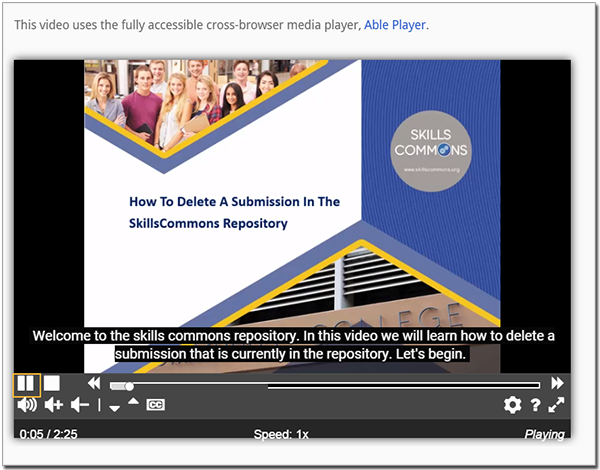 Some video players have captions but not transcripts and others offer keyboard navigation but not audio tracks. OzPlayer features all of these, and uses modern web standards like HTML5. At Radiant Media Player we love web video. We provide a fast and fully-featured HTML5 media player that embraces the way we consume media content in our digital age: everyday, everywhere, on every device. 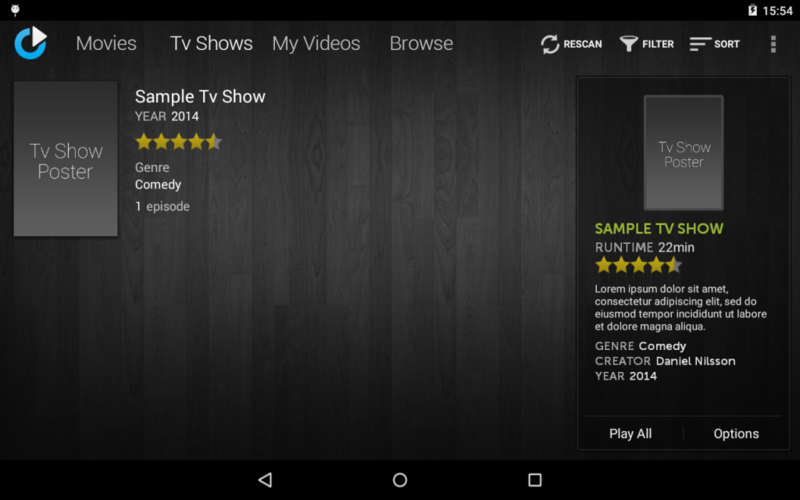 THEOplayer is the next generation media player for the web. It allows adaptive streaming directly to all popular HTML5 platforms without the need of third-party plug-ins such as Flash, Silverlight, or QuickTime. How to Convert Video Files to HTML5(WebM) Video with Zero Quality Loss? Pavtube Video Converter Ultimate an easy to use application that allows you to convert any video files including MP4, MKV, AVI, HEVC, etc to WebM HTML5 video. It is especially designed to provide a simple means of converting video files to WebM format on the spot. You simply need to browse your computer to load the file or folder that you would like to work on. It supports batch conversion, which means that you can work on multiple files at the same time. Converting to WebM format can prove to be easy, since video compression configuration is rather simple and the application does provide helpful advice or related tips such as bitrate, resolution, frame rate, sample rate, etc. What's more, this Video to WebM Converter also can convert WebM video to MP4, AVI, WMV, MOV, MKV, MP3, etc. For Mac users, please use Pavtube iMedia Converter for Mac, which can make you convert video to HTML5 WebM video on macOS Sierra, El Capitan, etc. You can do this in two ways. 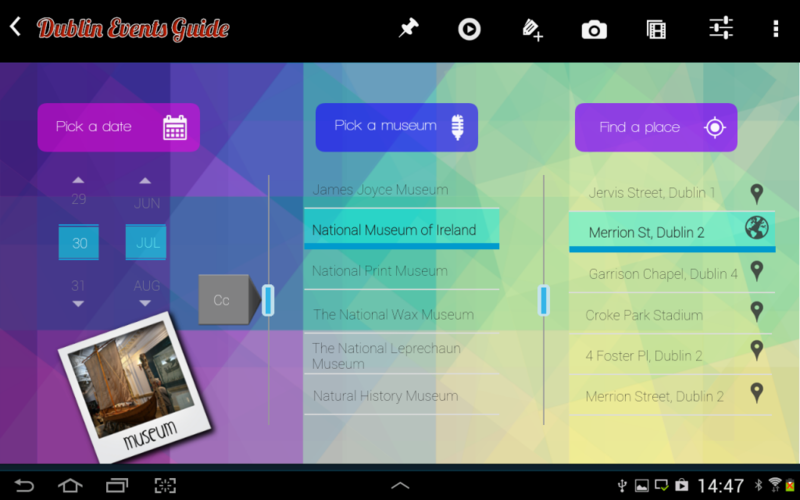 First, you can drag and drop the files into the program. Second, you can “File”. This opens a new window where you can select the video files you wish to convert to WebM. Once you’ve uploaded your files you can preview them, even merge them. Batch conversion is supported. Click "Common Video" to choose WebM video format to output. If you want to create a custom WebM video, you have the option of making edits before converting. The editing settings can be made after you click on the “edit” button within the main window. 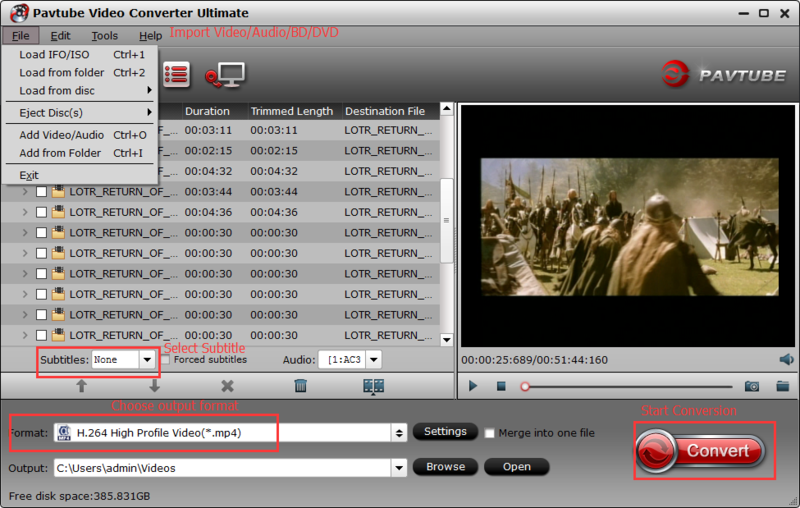 Some of the edits you can make by using the Pavtube Video Converter Ultimate include cropping, trimming, rotating, changing brightness and contrast as well as adding subtitles. You also can click "Settings" to adjust A/V parameters. Once you’re satisfied with the video quality, click on the “convert” button to start the conversion process. It takes a few minutes to complete depending on the file size being converted. Once the process is complete, you can view the converted file by clicking on the “open folder” button located at the bottom of the window. 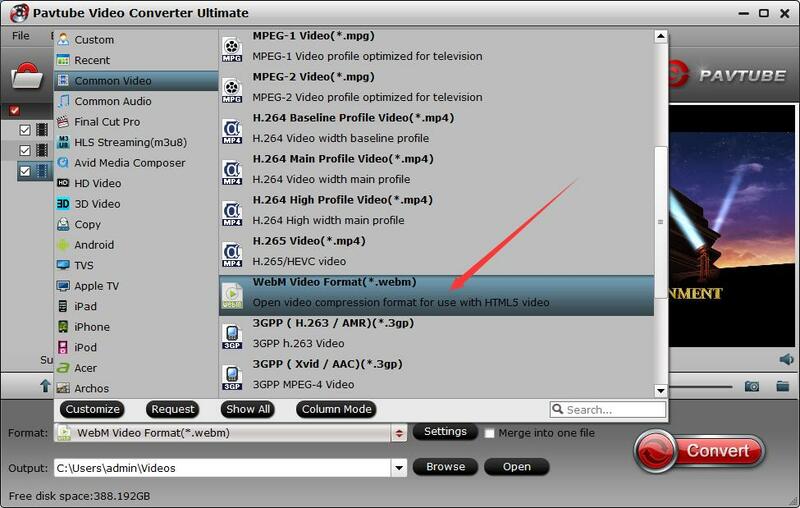 Now, you have converted video to HTML5 video using Pavtube Video Converter Ultimate, isn't easy?